Any marketer running a webinar program can tell you email is their biggest source of audience – and when numbers are big, small changes can make dramatic improvements. 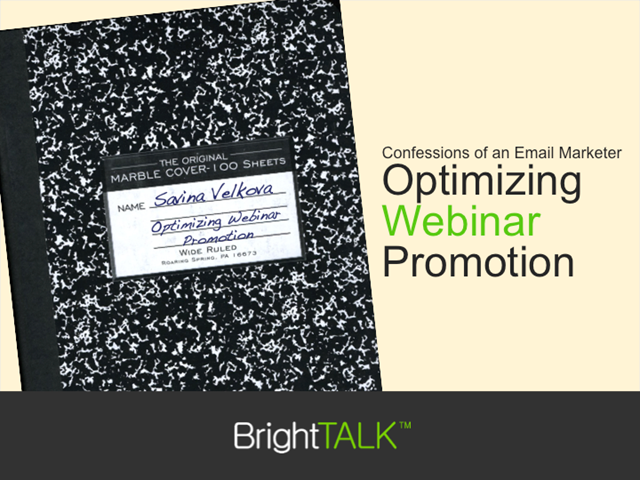 Savina Velkova, BrightTALK's email marketing expert, has spent the last year testing and analyzing the effectiveness of email marketing techniques as they apply specifically to webinars. Join her on May 10th as she reveals the insights, tips and best practices she has discovered while promoting hundreds of online events.